Eli Hops yoyo trick video. Eli Hops Yoyo TrickThis trick I’m going to show you is called the Eli Hop and it looks like this. All the Eli Hop really is is a Man on the Flying Trapeze, you’re going to pop it off and catch it right back on. Now, there are two really important keys to remember about learning this trick. The first one is that you want to make sure that your opposite finger is always touching the string. If you ever let this finger off the string in the air, then the yoyo is going to get slack and it’s going to come back. As long as your finger is touching that string it’s not going to get that slack and you’ll be okay. The second thing is that the height of the hop is also controlled by your opposite hand. 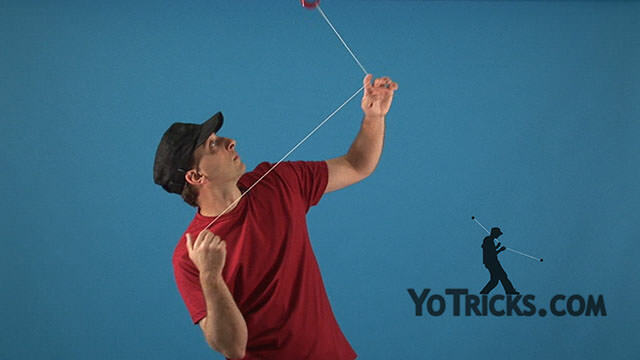 The way the trick works is that the closer this hand gets to your yoyo hand the higher it’s going to be able to go. If you want a really short hop you just barely move this hand, if you want a really high hop bring it all the way to your other hand. The cool thing about this trick is that you can do as many hops as possible as long as the yoyo is still spinning. It even works great in combination with other tricks. You can go from a reverse to a hop, you can go from a forward flip to a hop; it just fits in anywhere. So those are your Eli Hops.